Education: B.A. degree from Harvard University. Background: George has served on the Board of Trustees of New School University. He has served as director of corporate bond trading at Moore Capital Management in New York, a private, multibillion dollar investment management firm founded in 1989. Prior to joining Moore Capital Management, Mr. Haywood was a managing director and bond trader at Lehman Brothers. He joined the company in 1982. He has served on the board of the Brooklyn Poly Prep School since 1992 and also served on the board of directors of Advance Bio Nutrition. 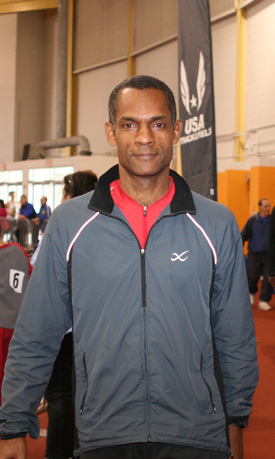 Track Highlights: George ran with the relay team that set a world record in the 4 x 200 (1:37.13), and the pending world record for men (55 year age group) in 3:41.07). The Latest: George moved up and ran the 800 Meters. He ran it at Lakeland, Florida on December 9, 2012. He ran a 2:25.61 (the fifth best time in the 60-64 age group).